But this friend is one of the more weird issues I’ve come across…. This all started last March 2012. I bought some more RAM and a pair of 2TB Hitachi HD’s for my Workstation 8 PC. I needed to expand my system and Newegg had a great deal on them. I imaged up my existing Windows 7 OS and pushed it down to the new HD. When the system booted I noticed that is was running very slow. I figured this to be an issue with the image process. So I decided to install from Windows 7 from scratch but I ran into various installation issues and slowness problems. I put my old Samsung HD back in my system and it booted fine. When I plugged the new Hitachi HD in the system as a second HD via SATA or USB the problems started again, basically it was decreased performance, programs not loading, and choppy video. I repeated these same steps with the 2nd Hitachi HD that I bought and it had the same issues. A bit perplexed at this point I figure I have a pair of bad HD’s or bad HD BIOS. Newegg would not take back the HD’s, so I start working with Hitachi. I tried a firmware HD update, I RMA both HD’s and I still have the same issue. Hitachi sends me different model but slower HD and it works fine. So now I know there is something up with this model of HD. I asked Gigabyte if disabling onboard HDMI video might help. They were unsure but I try it anyway and sure enough I found the solution! It was like the computer gods had finally shone down on me from above – halle-freaking-lujah….. Here are the overall symptoms…. Attaching the Hitachi HD to a booted system via USB the system will start to exhibit performance issues. Any Combination of the following products will result in a failure…. Change any one out and it works! Here is the solution to making them work together…. This simple setting disabled the on board HDMI Video and resolved the conflicts with the products not working together. I got to meet some really talented engineers at Hitachi and Gigabyte. All were friendly and worked with me to solve my issue. One person Danny from Gigabyte was the most responsive and talented MoBo engineer I’ve meet. Even though in the end I found my own solution, I wouldn’t have made it there without some of their expert guidance! This entry was posted in ESX, ESXi, vmware, Whitebox, Windows Performance, Workstation. I wanted to build a simple diskless ESXi 5.x server that I could use as an extension to my Workstations 8 LAB. Here’s the build I completed today…. Front View with Nice VMware Sticker! System Board with CPU, RAM and NIC – Look Mom no Hard Disks! This entry was posted in ESX, ESXi, vmware, Whitebox, Workstation. VMworld 2012 – Public Voting Now Open – Vote for my sessions! For the first time I submitted sessions for VMworld 2012. This entry was posted in ESX, Home Lab, vmware, Workstation. Okay so now that we have a sound hardware and OS, its now time to install Workstation 8. Here’s the brief version – Next, Custom, Next, Change, Next, Change, Next, Change, Next, Continue, Enter, Finish… Well it’s almost that simple there is a bit more thought behind this…. Where will I install Workstation 8? Do I choose one of my SATA disks or my SSD? From this screen shot you can see ‘Ethernet Adapter Local Area Network’ is my primary single pNIC in my PC. I Choose Custom to see some options for directory customization. If you have some SSD drives and PLEANTY of space (for VM’s and Workstation) you might want to consider placing the install there. 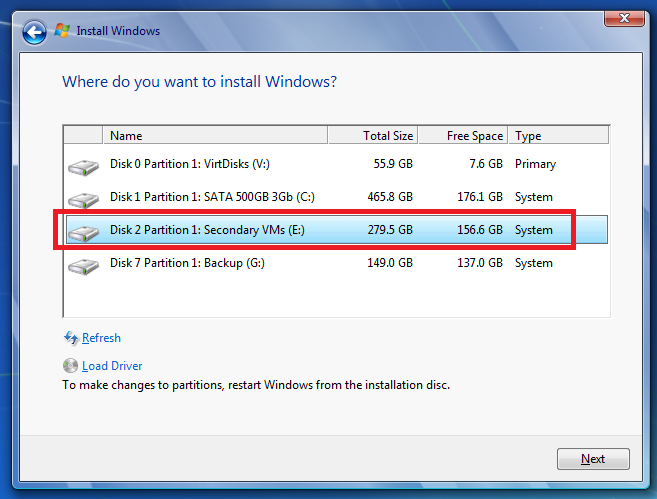 TIP – I did install Workstation 8 on my SSD and the boot time for the program was very FAST! However I really needed the SSD space so I moved it to my 500GB 3gb/s disk. It doesn’t boot as fast but once it’s loaded there really no difference. Where do you want your default VM’s to be stored? By default your new VM will be placed in this folder and you can choose a different path if you wish. Just like Fashion what’s in today is history tomorrow and so are default paths… you make a good choice now but want to change it later. Don’t sweat this too much, changing the default VM path is easy in Workstation 8 and I do just that in an upcoming post. TIP – Want a free copy of Workstation 8? When I got my VCP5 I got a free copy, get yours too, and get certified! Going back to the network settings… you can now see Workstation 8 installed two new adapters. This entry was posted in ESX, vmware, Workstation. Part 1 of this series outlined the hardware I wanted to purchase and some of the ideas I had around the products. I created an image of the current install of Windows 7, then booted it to my new hardware, and to my surprise there were not any hidden files or drivers that needed adjusted. It worked quite well, so well it was scary but simply Impressive…. Sure beats those old XP days when you had to just about tear it apart to get it to work. However I would like this install of Workstation 8 to run on a fresh copy of Windows 7 so I have decided to reinstall it. Now this shouldn’t warrant a blog post however they way I had to get Windows 7 to behave is why I’m posting. In this post I go into getting Windows 7 to install properly when you don’t have proper installation CD. The CD I own for Windows 7 is an Windows based Installation only, you cannot create boot CD to install the OS fresh. I found on the corsair blogs that my SSD drive will run much better if you enable AHCI in your BIOS. Unfortunately this pretty much deems a reinstall. I’m okay with this because it is what I’m wanting to do. 1. The version of Windows 7 I have is an upgrade or restore only version. Here’s how I did it… Oh, did it take some trickery and learning but it worked..
Windows 7 will do a recovery install to your current HD (C:) or to a new HD (E:). If you install to your current HD, C:, then it will install in to a WINDOWS.001 folder, and leave lots of old files laying around. Windows did it typical install, Copying files, and they rebooted the system. Windows completed the install and boots to your E: drive. Having E:\ be the boot and E:\Windows is not ideal. I really want Windows 7 on my C: drive. I formatted my C: drive and ran the windows install, only this time choose the C: HD. Windows completes the install and reboots. When I was done Windows 7 is a fresh install and running on the C: drive. Nothing worked well and it took up hours of my time. This pattern worked for me, Windows 7 installed properly and its working quite well. This entry was posted in ESX, Test Lab, vmware, Workstation.